– target small projects. 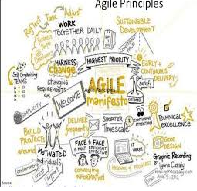 Agile software development methodologies are a group of development techniques or methods that enable software development using various types of iterative development techniques. These methodologies work on the basis of the continued evolution of requirements and solutions that occur by establishing collaboration between self-organizing cross-functional teams.